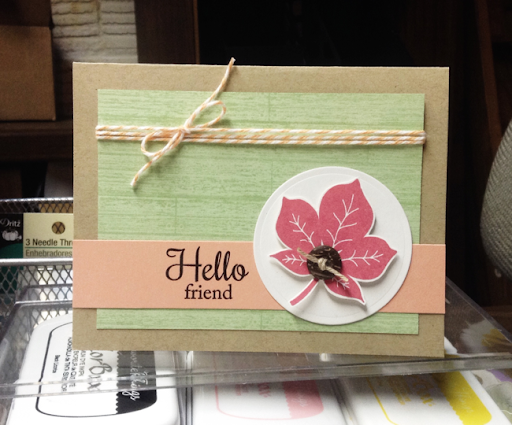 I went with fresh, springy colors and popped up the main leaf. What a pretty card Becky!! Love it!! Love this! The leaf/button combo is perfect!